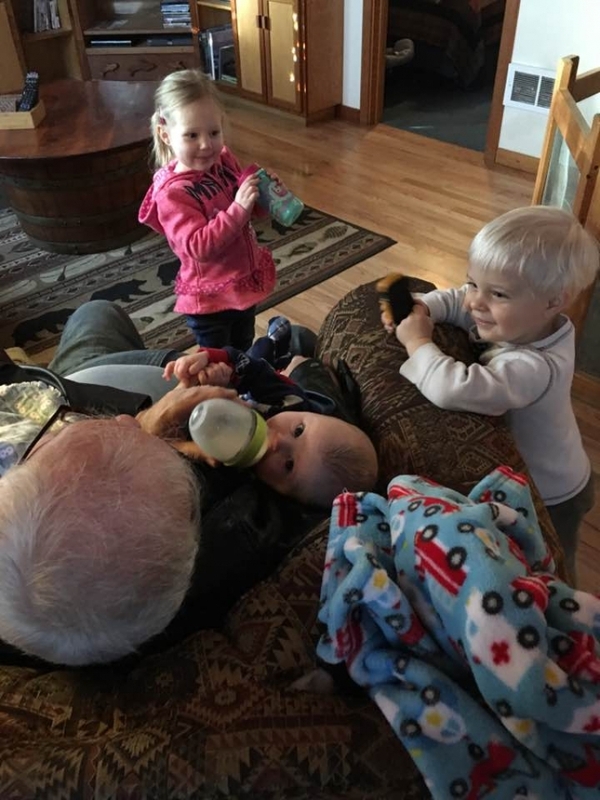 Today is my 68th Birthday, and although I love teaching, one of my greatest joys is spending time with grandchildren, seeing them grow, and watching their joy and wonder in the world! 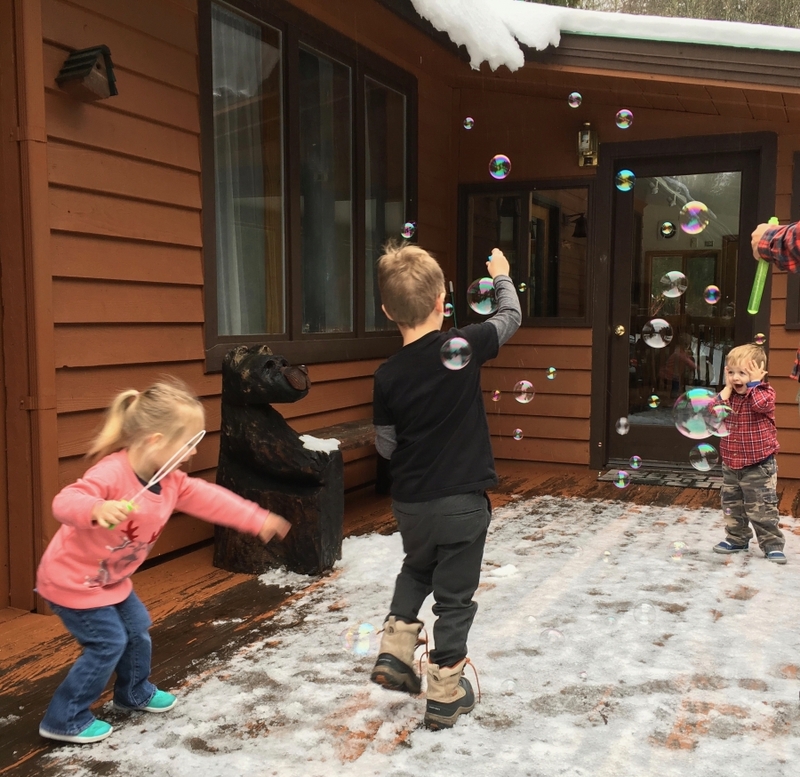 Lincoln’s absolute awe at the beauty of the bubbles, and Grayson and Dallas so much enjoying the making of bubbles, makes me very happy. Also feeding Baby Parks as Tyler and Dallas look on, and the warmth and smell of a baby, are truly times of great contentment. This entry was posted in Children, Dan Writings and tagged Children, grandchildren on February 1, 2017 by beauty70. This is from the Driehaus Gallery of Stained Glass on the Navy Pier in Chicago. 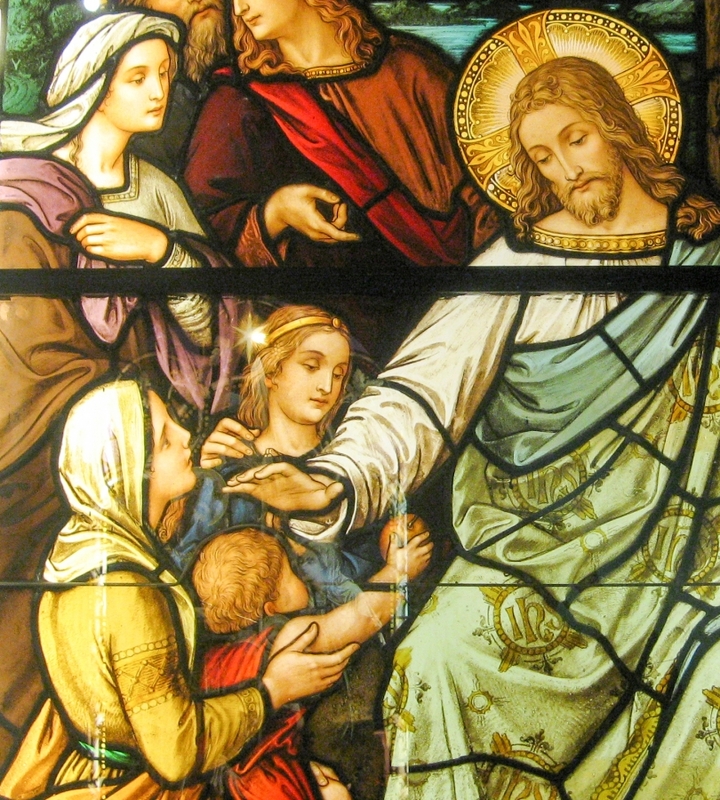 My photos of this stained glass was taken in 2008 and I’ll post other ones later. 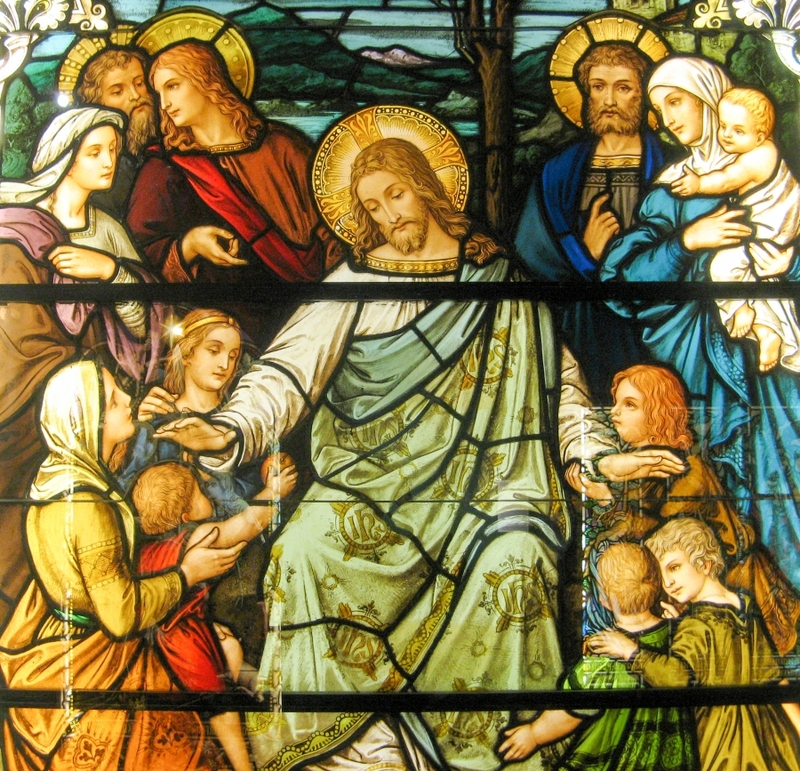 I love this one of Jesus with Children completed in 1906 and based on the Bible, Matthew 19:13-15, “Let the little children come unto Me. Do not hinder them. God belongs to such as these. And he laid his hand on their heads before he left that place. All three photos are from one picture cropped to look at the details. Hope you enjoy the beauty of it! THANKS TO THE AWESOME ARTISTS WHO CREATED IT. This entry was posted in Dan Travel, Stained glass and tagged Chicago, Children, Driehaus Gallery of Stained Glass, Jesus, navy pier, stained glass on July 8, 2016 by beauty70. This is a photo of one of our 5 beautiful baby grandchildren, Lincoln! I love many things about this photo. The glorious beauty of the folds and texture of the blankets are breathtaking! The colors of the towels are gorgeous! And his expression, oh my God! The slight smile, Mona Lisa like, with eyes wide open, and wisdom shining. And, I didn’t realize it till recently, how much he looks like a Buddhist monk in his blue robe clothed by baby wisdom that I so wish I had access to. Like most wisdom, and most things, this was a passing moment. Soon he would be playing, crawling, exploring, doing, eating, pooping, crying, and smiling again in wisdom. But in this photo, at this moment, his wisdom and beauty shine permanently. And it is a joy to see it again and again. Perhaps it reminds me too of my own beauty, and of yours too! This entry was posted in Children, Favorite Photos, Manifestations of Beauty and tagged Children, favorite photos on September 7, 2015 by beauty70. I’ve spent the last few days finding 6 photos for a contest. Below are my photos as well as my artist’s statement! Click on any of the photos to see a caption of what I saw in this photo, and to add to what you are seeing! I’ve traveled the world, lived long, and shared beauty. I share beauty through my photographs and the words that accompany my art (please do visit my website beautyshared.org to see more of my work!). My photographs, combined with my words, provide new ways of seeing, thinking, feeling, and appreciating. By seeing through my “photographer’s eye” there can be a deeper appreciation of beauty. My hope is that the observer will leave with a newer, and broader, way of seeing beauty itself. Words combined with visual arts are greater than the sum of their parts. This is eloquently evidenced in the movie “Words and Pictures” (2013). I use both. We do not know how to see, be immersed in, and be still enough, to appreciate the beauty surrounding us all. I want to help change that. Capturing those “special moments” in a photograph is what I wanted to do. I also hope that seeing those photographed moments of connection with a child will encourage in the viewer spending and cherishing even more special moments with children. I also added captions to each of the photos to help the viewer see how I saw the beauty in each picture. This hopefully will add to their way of seeing and appreciating each photo. I am a poet and a photographer. Below are my captions for each of the six photos I have submitted. 1. Baby just before sleep, before language, eye-to-eye with me, no expression, just being. Buddha like. Surrounded by beauty she cannot see, purples and browns, textures, curving shaped fabrics, gentle light. 2. Baby moment of complete joy! 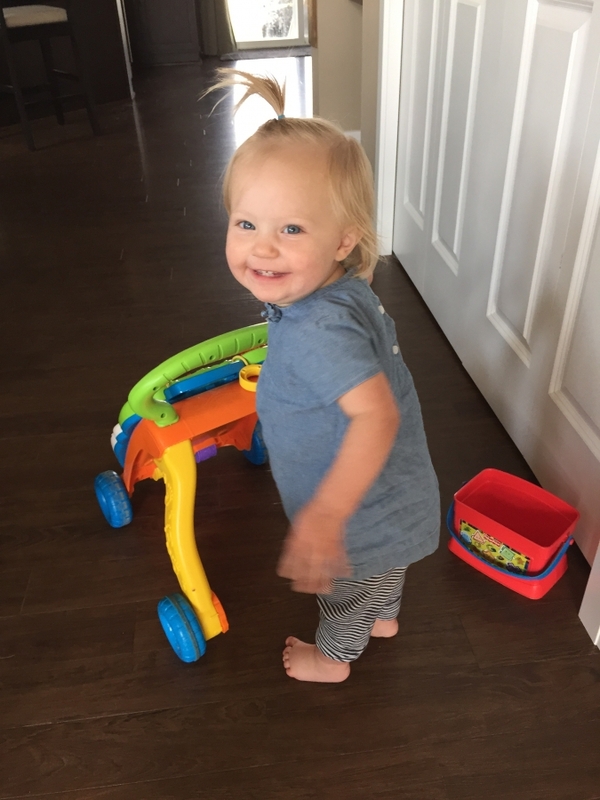 Newly walking, pushing her toy, her eye to grandpa’s eye. Total moment of JOY! While unbeknownst to her, her hand blurs in motion,her ponytail cascades in the white background light. A precious moment captured. 3. 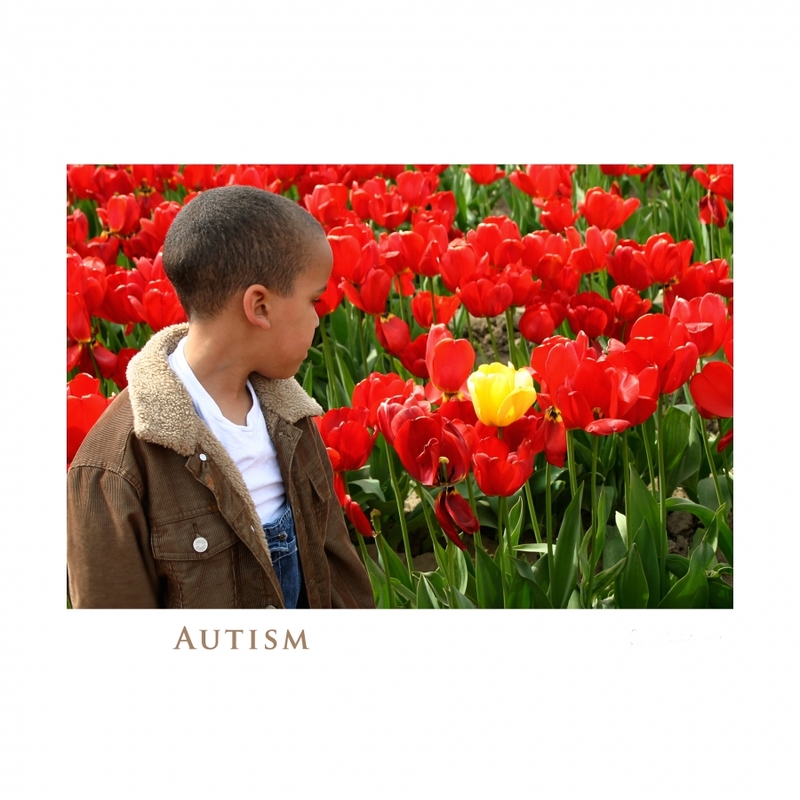 This is my grandson, a bright, loving, loved, unique and special boy looking at a single yellow tulip surrounded by a field of red tulips. 4. 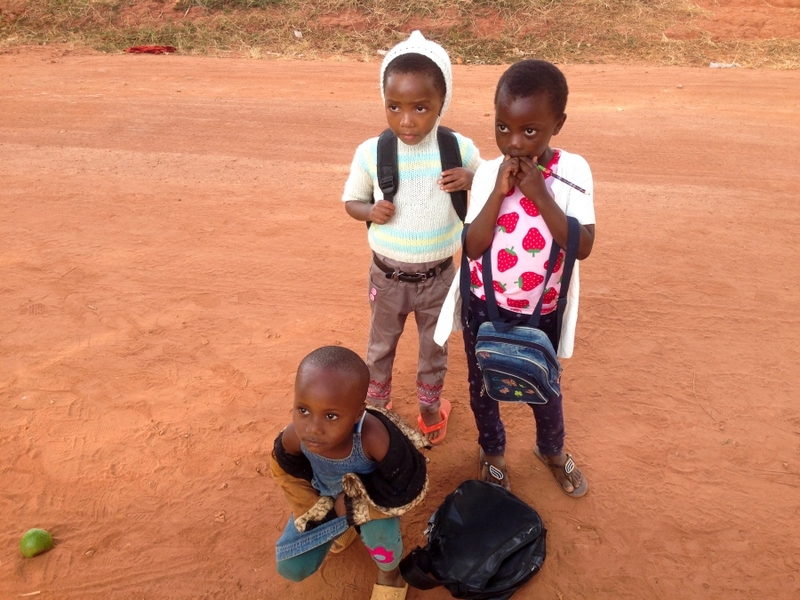 Bright eyed Tanzanian school children stopped to talk with us on their way home. I love the colored sweater, the pencil in mouth, backpacks, and strawberry shirt. They are excited to talk to us but also very shy. Red dusty road behind. Another moment in-between. Late afternoon’s gentle light. 5. On a service trip to the Midwest I played with, and photographed, two beautiful children in a poverty day care. I love this shot. In-between play, in a quiet reflective moment, looking up, with quiet dark beautiful eyes, his head large and out of proportion. Lightning tattoo. In-Between moment. 6. Same service trip. At the green picnic table, in a quiet reflective moment, looking up, with quiet large dark beautiful eyes, colorful braided hair, head in hand. Meditative. In-Between. Grandma Moses began “painting in earnest” at age 78. Although I am no Grandma Moses, I am 66 years old, have a large collection of excellent photographs I’ve taken through the years to work with, and have two photo/poetry books published. I will soon be able to retire from being a full-time professor and have enough income to devote my time and effort to my art. My age has added wisdom and humility that will serve my art. I have a precious 10-15 years to develop and share my work. I want to do that. For 26 years as a professor I taught future counselors compassion, service, the importance of the moment, and the role of beauty in healing. I’ve also taught them to expand their ways of seeing situations, to help the client see more than they currently see. My art will follow those themes. I believe I have many pieces of art that are beautiful and that I want to share. By receiving this award others will see my work. I have no desire for wealth or fame. But I do believe that I can add a sense of awe and wonder in the beauty that surrounds us all to a larger audience. Receiving this award would be a great honor and would be a big step in that process. This entry was posted in Children, Dan Writings, Favorite Photos and tagged Children, favorite photos on July 28, 2015 by beauty70. I love children and am so thrilled to be a grandparent! I’ve also taken many pictures of children and babies in the past. This is one of my favorites, from yesterday! I’ll make “Children” a category and upload some of my favorites! 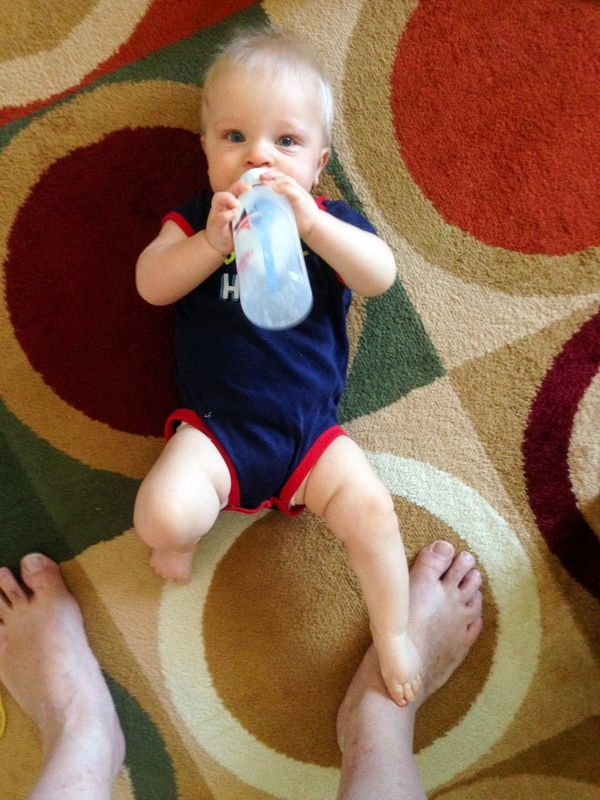 Mr. Tyler enjoying his bottle and playing footsies with Papa Dan. 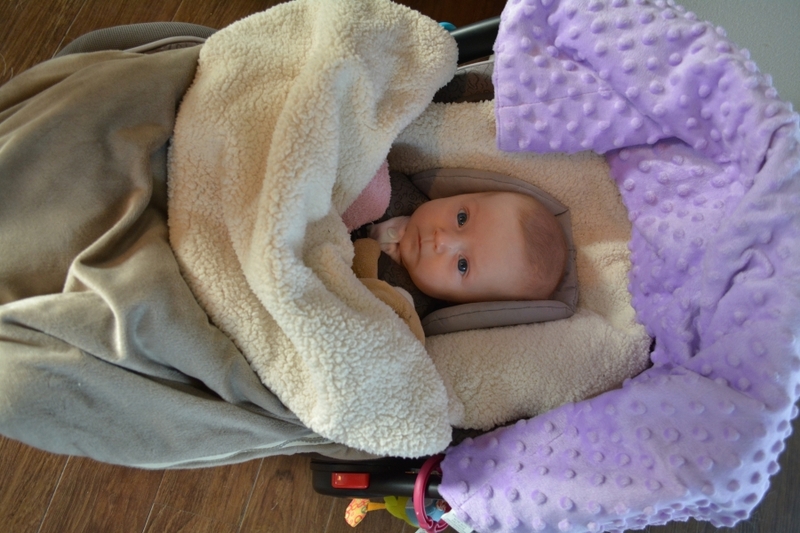 The wonderful perks of grandparent hood! This entry was posted in Children, Favorite Photos and tagged baby, Children, favorite photos, footsies on July 24, 2015 by beauty70. 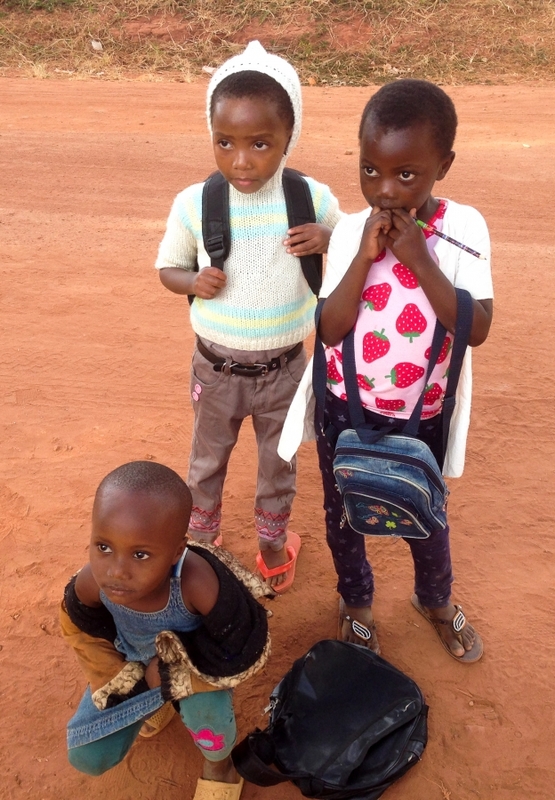 I’ve recently returned from my Fulbright Specialist grant to Tanzania. Below is one of my favorite photos from my trip. This entry was posted in Dan Travel, Favorite Photos, Service is Beauty and tagged Children on June 25, 2015 by beauty70.